rating: 4.3/5 [in the genre] or 8/10 [all books I’ve ever read]. recommended for: Fans of Throne of Glass by Sarah J. Maas, The Assassin's Curse by Cassandra Rose Clarke, Incarnate by Jodi Meadows (duh). will i read this author again? : Yes! will i continue the series? : I may die if I don't get The Mirror King right now. Though The Orphan Queen and I had a rocky start, I closed the last page aching for more. The writing is very different from Meadows' Newsoul series, blunter and less poetic. I think I initially craved that prettiness and polish. The plot also ramped up a little slowly for a person with my thinness of patience. Yet, the more I read, the more I felt swept up into Wil's haunted, perilous world. 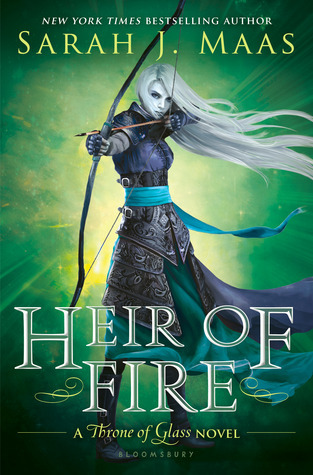 Many years have passed since Wil saw the Indigo Army execute her parents and overtake her kingdom, but she has never given up on reclaiming Aecor's throne. She and the other highborn orphans have a plan--one that thrusts Wil and her best friend into thick of the court that stole their birthright. What follows is a lovely game of intrigue and deception between Wil and the court, Wil and her friends, even Wil and herself. What begins as a simple incursion gains worldly scope when Wil realizes that retaking her kingdom is not enough; the deadly magical Wraith lingers on the horizon, and the fate of her kingdom is inextricably entwined with the fate of the Indigo rulers she despises. And then there's Black Knife, the enigmatic vigilante who seems more important to Wil's goals than she ever could have realized. The fast-paced thriller/adventure culminates in an absolutely shocking cliffhanger. The Mirror King couldn't come too soon. Unlike the fluidly paced Incarnate, The Orphan Queen stumbles through much of its first half. Important events are too staggered, with overwrought conversations and inner monologues fluffing up the spaces between. I'd have liked Meadows to shorten the introduction with the Ospreys, allowing her to spend more time observing Wil in the castle and Wil with the Black Knight* Knife. In particular, we're given very few scenes of Wil and BK actually fighting and saving together. Scenes between Wil and Melanie are also shockingly few, given their strong friendship. A pity, since most of the female characters are treacherous or dull. Yet, the book sneaked up on me. I can't say when the change happened. Slowly, I found myself having a more difficult time putting it down. By the middle, I was racing, and I finished the last third in a night. While Wil's decision to go after the wraith feels a little contrived and abrupt, it raises the stakes and brings on the magic that Meadows is so good at. Some of my favorite scenes were Wil contending with the wraith; Meadows imagination is cruelly apt. I'll only say: the bug scene. Secrets abound in this book, and their unraveling is a foregone conclusion. The plots become more entangled and tense until inaction becomes deadly and Wil is forced to make impossible choices. The final scenes are less epic than you'd expect, but set in place a chain of events that promise an explosion. And that ending. Good god, the cruelty! I'm impressed that Meadows took that risk, but I can imagine some readers cursing her for it. I did curse her--a little--but I also thought it a clever bridge between books one and two. Now publish Mirror King, dammit. * Clearly I have Batman on the mind. Fantasy Batman. Check and mate. Ha, seriously, though, Meadows again brings fantasy into new territory. She seamlessly merges a lost kingdom story with a vigilante story with an orphan story with a pre-apocalyptic story into one fantastic blend that does credit to its predecessors while carving out its own territory. There's an element of The Princess Bride, I think. Something about the masked man, the commonplace fantasy tropes made exciting, the banter. The keystone of these typical elements is Meadows' use of magic. Magic is something specific. Each person, if they have it at all, have a specific ability. Fire, maybe, or animation, or growing. Magic also has side effects. Like CFCs trickling out of cans of hairspray, magic leaks wraith, a chaotic, corrupting power. Wraith can give you a high; it can also warp landscapes, turn animals into monsters, make monsters of men. And it doesn't dissipate. Whole kingdoms have been swallowed by the wraith and turned into Salvador Dali wastelands. The Indigo Kingdom has tried to stop it by making magic use illegal--the very reason they captured Aecor, who disagreed with the ban--but they can't ignore the truth: the wraith is coming. It's this fantastic concept, the constant permeating dread, that elevates The Orphan Queen from a charming courtly fantasy with clear villains to a complex struggle between the needs of people, of kingdoms, and of the land. Wil is a bit your typical strong-woman knife-wielding stubborn foolhardy fantasy firebrand, but she's a well-written one. She also grows tremendously across the story, which truly endeared her to me. She begins to question her preconceptions and challenge the status quo. She learns what lines she won't cross to be queen. She also establishes herself as a brave warrior and a snarky, clever diplomat. She's still somewhat childish by the end, but she's on her way. Obviously, Black Knife is my favorite. Charmingly infuriating, whip-smart, and also compassionate, he's pretty much impossible to hate. I also loved prince Tobiah, sullen and bored, and James, delightfully flirtatious and sweet. The friendship between them was so sweet and strong. Which is my complaint about Melanie, who feels cardboard. See below. At first, I felt a twinge of disappointment. Meadows' writing style in the Newsoul series was so fluid, so painterly, so atmospheric. The style here is much more blunt and seems to lack that poetic quality I so loved. At least, that's how I felt at first. Though I still think of Incarnate as the better example of craft, The Orphan Queen's voice grew on me. Really, Wil's voice grew on me. She isn't a very poetic person. She's pragmatic. She often slips into black and white. She diverges into internal monologues. And her voice is plainer because of it. But, though plain, her voice was very solid. The dialogue was witty and sharp, the descriptions were clear, and there wasn't much mincing of words. It's not amazing writing, but it's very good, and there were at least two dozen passages I marked because I loved them. That woman has a devious sense of pacing. She also impressed me immensely with her descriptions of the wraithland. Remember the bug scene? I literally shivered reading it, with a true sense of terror. Her imagination is astounding, and I can't wait to read more. Women aren't terribly well treated in this book, which makes me sad, since Meadows can write such vibrant women so well. Melanie was so disappointing for me. For Wil's best friend, she stays a great deal on the sidelines. It's Wil who gains the king's attention and invitations, Wil who is targeted by the court ladies. Melanie is mostly there to deliver messages and braid hair. I couldn't understand how Wil could call Melanie her best friend, yet give her no benefit of the doubt and exclude her from all plans. She trusts Black Knife, a vigilante who could be traitorous, over Melanie, and confides in him instead of Melanie. Few other women are portrayed, and few of these are portrayed well. Meredith is dull, Chey is cruel, and queen is invisible, and the female Ospreys are nearly absent. Despite Wil representing a powerful, kickass girl, it's the men in this book who are charming, vivid, and competent, while the women are a lackluster scenery. Despite a slow beginning, The Orphan Queen asserts itself as gem of contemporary fantasy: funny, clever, and imbued with the kind of imagination that seeps into your bones and makes you feel just a little more magical. Love this very thorough and thoughtful review of THE ORPHAN QUEEN! I agree that this book picks up a lot in the second half and features a fascinating look at magic. Wil's gift is truly amazing and gives her power, but is it the reason their world is falling apart? You're right, the Newsoul series was more poetic and had a completely different feel, but I think it went along with the gentleness in Ana and Sam that I don't see as strongly in Wil. I liked how this writing matched these characters and that Meadows was able to change the feel of her story just with how she wrote it. I cannot wait for more Black Knife - GAHHH that end! Both his decision and what happens right before the book closes. KILLER. Great review! Thank you! I think that's a good point, the feel of Ana and Sam versus Wil. Ana and Sam are poetic, whereas Wil is blunt, no nonsense, brash. I think the Newsoul style is just more me, so I connected with it more quickly. Thanks for your lovely, thoughtful comment! BATMAN^^ Yesss ♥ haha :D Fantastic review^^ I still need to read Meadow's Newsoul series, but they're on my wishlist/tbr shelf! I loved how you compared both of her works, and if anything, you've made me want to read them both even more! Holy sidetrack Batman! 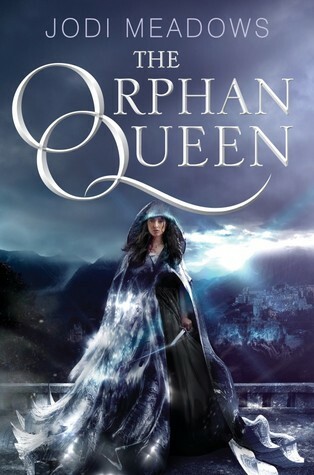 Ok, getting back to The Orphan Queen...it's a shame that the plot struggled in the beginning, but for me, just reading about the concept and characters still makes this one sound like a must-read. I do like the warning though, so I'll be ready for any plot issues when I get to this one. Strong fantasy worlds are a HUUUGE draw for me, so I can't wait to explore this one for myself. And the characters sound right up my alley too :) Thanks for the wonderful insight! Thanks!!! I still prefer the writing in Newsoul, and also I think the world is more unique, but Orphan Queen is still fabulous. Especially the wraith stuff. I could not recommend her work more highly.